Totally understand, I wasn’t offended, I was just giving my opinion on Downtown SF, personally I think it’s overhyped for spawns, I’ve never gotten many spawns or good spawns there. I’ve also never been to Santa Pier since PoGo has been out so can’t comment on the spawns. Again, wasn’t offended just giving my opinion. 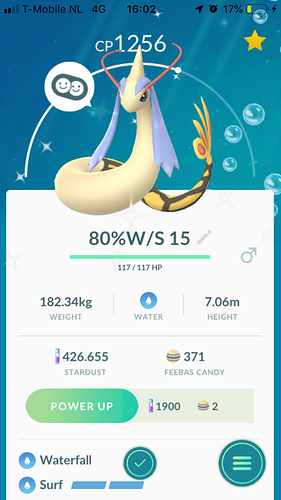 Do male and female Milotic have different “hair” length? I thought it said this weekend? 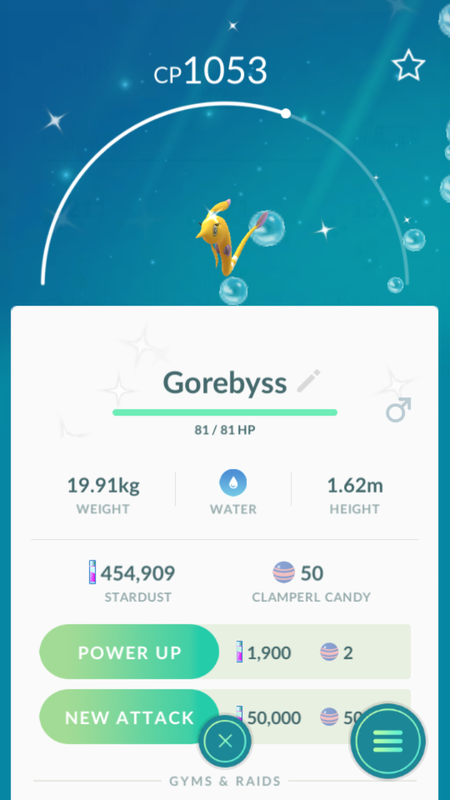 got a shiny shellder as well! Work. 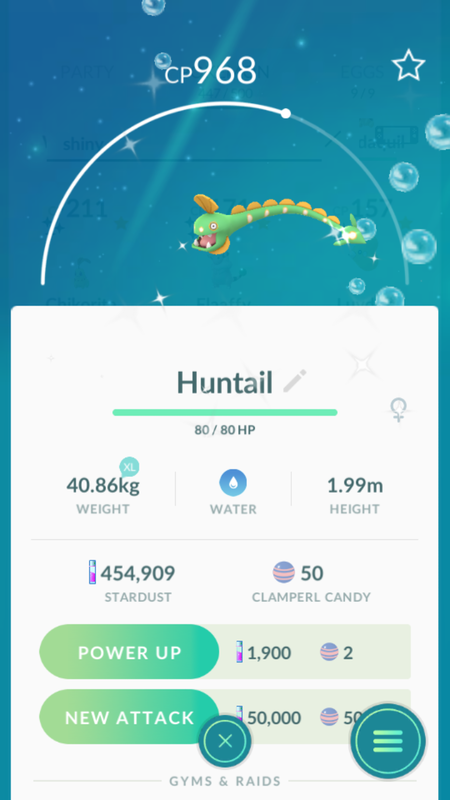 caught ~75 pokemon there but no wild shinys either. I had a nice event. It was great. 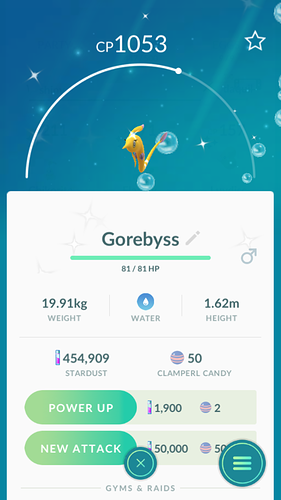 Much better than Feebas day. Niantic listened to our feedback and corrected the mistakes. 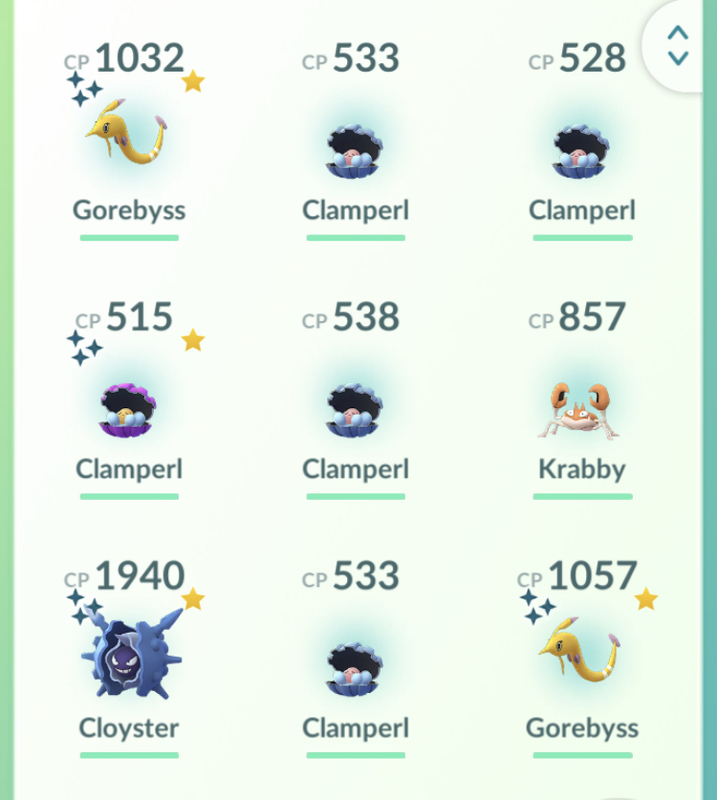 I got 12 Clamperl, 6 with good IVs, 3 shiny Clamperl (I have 1 unfinished task so it can be more). Tasks weren’t difficult, spawns were better and there were more of them than on Feebas day. I didn’t get other shinies, but that’s OK. I’d like future research days to be as good if not better. I got 2 Clampearl quests. Haven’t cashed one in yet. I predict that I will do 24 quests for 0 Shiny and maybe 1 IV in the 96-100%.